This year's Every Day in May is dedicated to Madeline Wallace. Maddy was a bright and warm medical student, the young daughter of a great friend. She talked variously of becoming a surgeon, an expedition doctor or a paediatrics specialist – potentially with a charity like MSF (Doctors without Borders). 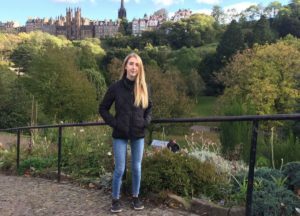 Sadly Maddy became ill with anorexia and it took her life in January 2018. Maddy was a talented artist too but most of all she was an amazingly thoughtful person who always listened and cared about people, animals and causes. Eating disorders are often a taboo subject and yet so many people suffer with them. Over a million people in the UK suffer with them – anorexia, bulimia and binge eating disorder – and it can be so hard to get specialist help, which is always what's needed. We have chosen Beat as our dedicated charity this year. Although you are free to raise money for any charity you want we would love to raise as much as we can for Beat, which is the UK's national eating disorder charity. They act as a guide and friend to anyone affected by eating disorders, giving individuals experiencing an eating disorder – and their loved ones – a place where they feel listened to, supported and empowered. Let's do the best we can for Maddy and all the other ED sufferers past, present and future. fitnaturally supports people to eat healthily and happily without fads and to make gentle lifestyle changes to reduce stress, improve sleep and connect with people and nature.